Dr. Habel’s work is in the area of political communication and public opinion. 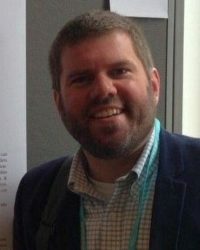 In 2013, he published “The Implications of Fictional Media for Political Beliefs” in American Politics Research, which investigates the consequences of fictional, entertainment media for belief in conspiracy theories. He remains interested in the media’s influence on conspiracy beliefs, including recent work on social media. Dr. Habel is Senior Lecturer in the School of Social and Political Sciences at the University of Glasgow.